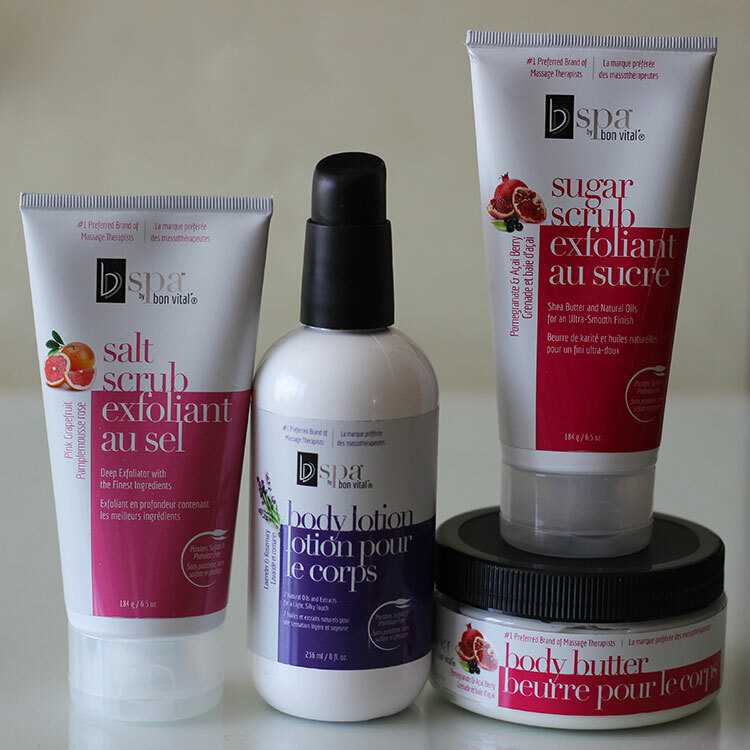 The first two products I received are the BVspa Pink Grapefruit Salt Scrub and Pomegranate & Açai Berry Sugar Scrub. They both have a very sugary sweet scent which isn't usually my favourite kind of aroma, however these have actually been quite nice to use. 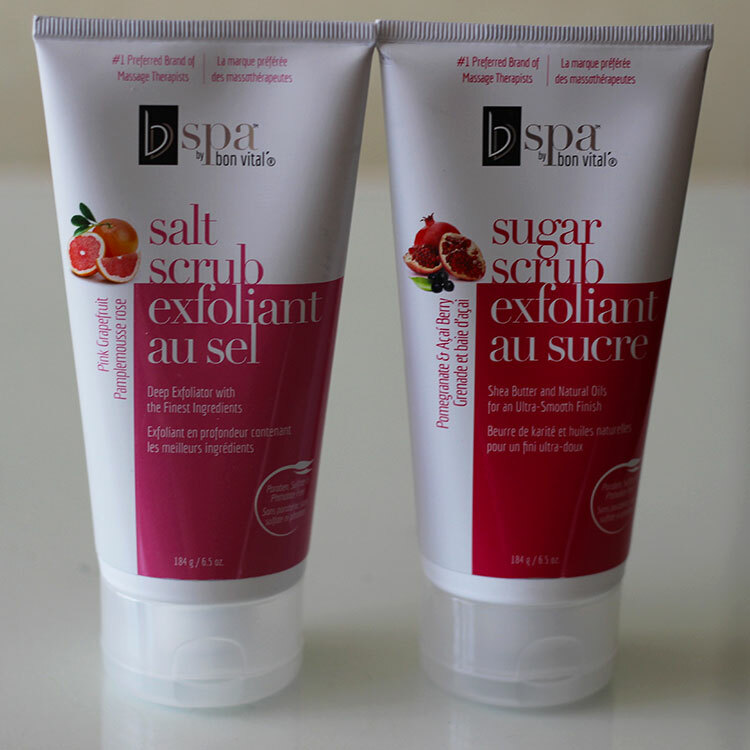 Since sugar is coarser than salt, the sugar scrub allows for a more thorough and quick exfoliation. Because my legs are stubbornly dry year round, both scrubs have been coming in super handy to help smooth my lower body. I won't be surprised if I finish these come the end of summer since that is when I rely on body scrubs most! 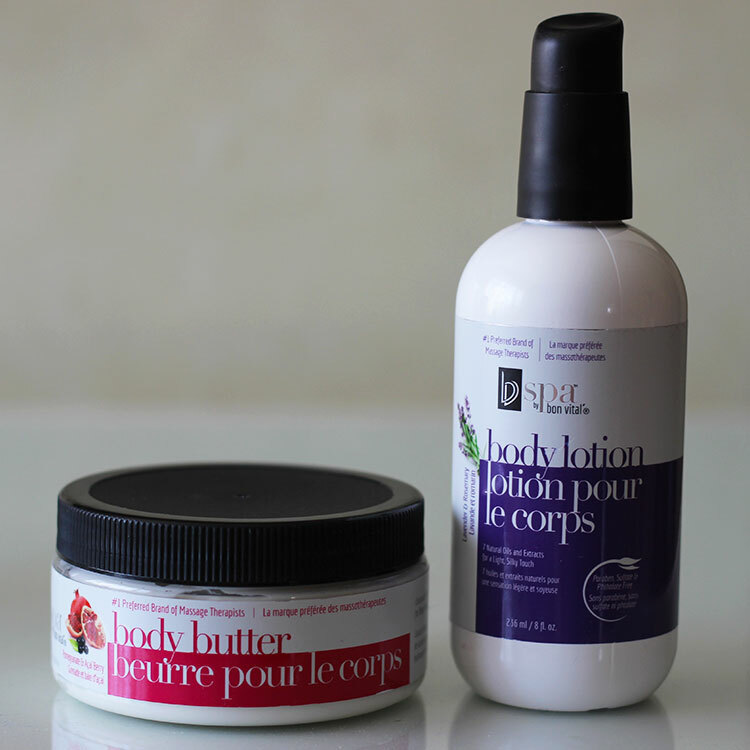 To help lock in the moisture from my freshly exfoliated skin, the BVspa Pomegranate & Açai Berry Body Butter and Lavender & Rosemary Body Lotion have been coming in handy. The latter actually smells quite musky to me and kind of reminds me of a men's cologne, so I much prefer the body butter. These aren't particularly amazing compared to other moisturizers I have tried but still get the job done. Bon Vital products contain a variety of essentials oils and are free of parabens, sulfates and phtalates. After being used by spa professionals in the US for the last quarter of a century, the line is crossing the border and is now available in Canada. BVspa by Bon Vital products can be purchased at Shoppers Drug Mart nationwide and retail for C$11.99. Are these the best new skin care at the drugstore? I wouldn't go that far, but I think the scrubs are definitely worth checking out! Will you be giving this new drugstore brand a try? Sounds good! My skin is too sensitive and avoid experimenting with this. As your products sounds fascinating. Love to try this. Hope it will work for me. Would love to try the the body butter.